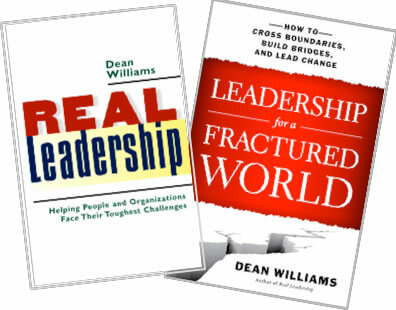 CNBC contributor says Donald trump needs to read "real leadership"
Huffington Post reviews my new book "Leadership for a Fractured World"
Today, Lee Kuan Yew the former Prime Minister of Singapore passed away at the age of 91. I met with Lee a number of times--I interviewed him at Harvard and also conversed with him at the Istana in Singapore. He was truly an extraordinary man, with great insight, foresight, and political prowess. It is rare that someone with that kind of leadership capacity arrives on the stage and takes the helm of a country for thirty years, turning it from a poor British colony into a thriving, prosperous, modern metropolis state. He knew the critical importance of the chief authority figures embodying the "mantle of the ideal" and ensuring that they represented the highest values of the society--discipline, focus, learning, and no corruption. His approach to leadership was based on pragmatism--what would work best for Singapore. In the 1950's and 60's other Third World countries embraced a socialist path and were ideologically driven--and made little progress politically, economically, or socially--but not Singapore. It was a small, vulnerable state and had to do things differently. They could not afford to make too many mistakes, as the stakes were just too high. So how did LKY lead? He once said a leader is like being a sheepdog--herding the sheep in the right direction. That approach might work if the leader knows what direction to go. Lee clearly had a good sense of direction--not because he was so smart, but because he was willing to learn. He was an observant man, noticing the fine and subtle details of how a country was managed and the management of streets and parks of the places he visited. He was an astute observer of global economic, social, and political trends--threats, dangers, and opportunities--always considering the implications for Singapore. He was a questioning man--always seeking out different voices from around the world to give their opinion on how Singapore should progress. He once called me to the Istana to meet with him. I was curious as to what the meeting would be about. He began with a question--"Prof, how can we build and strengthen the leadership of Singapore going forward?" At that time, he was in his eighties, yet still displaying the curiosity of a young man. When one met with him you did not feel it was about him, but always about Singapore. He never promoted a cult of personality and his picture does not grace the walls of government buildings. In exercising leadership to rapidly develop Singapore, Lee was savvy. The common belief of many outsiders was that Lee forced change. That is far from the truth. He was actually very cautious and experimental in his approach, pacing the process of change at a rate that the people could tolerate and ensuring that there was sufficient time for people to shift their values--particularly in the context of expanding people's notions of culture, language, and identity from clan, religious, and ethnic affiliation as the primary sources of identity to a shared Singaporean identity where most people spoke English. Coming back to the sheep dog metaphor. Yes Lee could bark, and he could also bite. But he also knew how to listen and to communicate. In fact, he was an extraordinary communicator who had a good sense of how to explain complex policy challenges so that the ordinary Singaporean--from the executive to the taxi driver--could understand. He regularly visited homes of "heartland" Singaporeans to hear directly from them their complaints, their concerns, and their aspirations. Of course he was a tough man at times, but only at times. He always explained his reasoning to the people regarding any decisions he made or actions he took. His toughness was born of growing up in tough times--he lived under the British colonialist, the Japanese, and was a part of a region immersed in racial, religious, and political turmoil. He told me that his style and approach was appropriate for the time but would not work with the new generation of younger Singaporeans. That's why he resigned as prime minister at the age of 70 and moved from the foreground to the background. In his view, let younger and more flexible men and women provide the day to day leadership as they would have a better sense of the pulse and mood of the people. At a period when so many so-called leaders were holding onto their power to the day they died or were overthrown, Lee's move was unprecedented and a testament to his wisdom. The real testament to Lee Kuan Yew's leadership is that Singapore is more than Lee Kuan Yew. While too many authority figures generate dependency on themselves, Lee gave the work back to the people. He ensured that the country built managerial and leadership capacity at all levels, and that sufficient initiative and imagination was shown to create a dynamic state that functioned with efficiency and effectiveness. Wherever you go in Singapore you see outstanding men and women running organizations like Singapore Airlines, Capital Land, Temasek Holdings, the Economic Development Board, and the ministries of government. In the social sector, running the NGOs and NPOs, you will find bighearted men and women working on the frontlines providing leadership for some of the toughest social challenges. Singaporeans love their country, and are proud of their accomplishments. In any coffee shop on any day you will hear a variety of opinions on Lee, but all will agree that he was the father of Singapore, a father the country was lucky to have. A few years ago, at the UN General Assembly, I had a brief chat with the then president of Iran, Ahmadinejad. He had just finished his speech, which was a drama in itself--not just because of what he said but also because of the reaction of the audience. Predictably, the American delegation walked out in protest, along with the Israelis. In our conversation he invited me to come to Iran and see for myself the progress the country was making. To date I have not been able to take him up on that offer, although I hope to one day. What really is going on in Iran, particularly as it pertains to its nuclear ambitions is anyone's guess. One thing is certain, dealing with Iran is a sensitive and critical leadership challenge given that it is a powerful and proud nation of nearly 80 million people with an ancient civilization. In recent days we have witnessed two competing strategies for dealing with Iran. The first strategy was by forty-seven members of the US congress who undermined the US president by sending a letter to Iran's president telling him not to take seriously anything Obama says or does as it pertains to a nuclear agreement. This action, led by 37 year old freshman senator Tom Cotton, was wrong, and an embarrassment. Sadly, no leadership there. The second strategy was a little more interesting, and that was Obama's video message directly to the Iranian people. Taking advantage of the fact that it was the Iranian new year, Obama sent a carefully crafted message aimed primarily at the young people of Iran, and those whose minds were not trapped ideologically, politically, or culturally. The essence of the message was that there would be great benefits for Iran if a nuclear agreement could be reached that ensured the development of Iran's nuclear industry would be exclusively for peaceful purposes. The benefits would include cultural exchanges, an increase in trade, and partnerships for education, science, and technology. It was a powerful message, complete with some verse by the 14th century Persian poet Hafez, who is known for lauding the joys of love and wine and speaking against religious and political hypocrisy. Obama's strategy was wise. Sensing that some of the Iranian boundary keepers were blocking progress, he is attempting to start an informal movement amongst young people to pressure their authority figures to do the right thing and make an agreement. Given how Tom Cotton and his crew have irresponsibly muddied the water, let's see if it helps. The former mayor of New York, Rudy Giuliani, last week made a fracturing statement by saying in a public forum “Obama does not love America… he wasn’t raised the way we were.” This kind of statement is the expression of what I call tribalizing. Tribalizing is the use of language, power, or position for the advancement of your own group’s interests, sometimes at the expense of other groups. Tribalizing is not always a bad thing, but it becomes fracturing when comments or actions are taken that trivialize, marginalize, or harm another person or group and lead to the avoidance of the real issues that people must come together to address to make progress. The fracturing speech, for example, is divisive and exclusive rather than uniting and inclusive. It perpetuates the myth that “We are good and the other is bad.” It exploits the group’s noble traditions, sacred values, and cultural pride to promote a sense of preeminence or uniqueness. It appeals to your own group’s narcissism and sense of superiority. It assigns all the bad stuff to an outside person or group and the good stuff to your own group, and thereby allows people to avoid dealing with their own group’s deficiencies and maladaptive practices. No one can deny the extraordinary leadership Giuliani provided New York during and after 9/11, but just because one provided leadership in one context does not mean you will provide it in another. These days, everyone is feeling a little anxious given the troubling events in parts of the Middle East and the political fights at home. There certainly is no shortage of problems that demand our attention and demand real leadership. At a time like this, when boundaries must be crossed and bridges must be built, and when you are such a prominent individual, it is silly to contribute to the fractures that already exist by questioning the loyalty of your own president. Giuliani should know better, after all in 2002 he wrote a bestselling book called “Leadership”!